3rd Annual Caribbean Sea Fan Festival 2016 | ComeSeeTv Broadcast Network ... Can you See me Now! The 3rd Annual Caribbean SeaFanFestival Online Telethon in 2016 is held in commemoration of UN World Ocean Day June 8th, 2016. UN World Ocean Day, takes on new momentum in the Caribbean as the Institute of Caribbean Studies celebrates with the 3rd Annual Caribbean SeaFan Festival Online, tospread the message “Life Needs the Caribbean Sea”. The goal of the festival is to helpspread the idea of ‘Healthy Caribbean Sea means Wealthy Caribbean People’ message far and wide across the reaches of the Caribbean Sea, in order to create a more conscious and aware community of stakeholders for the Caribbean Sea. “The Caribbean Sea is not just out there, nor is it just scenery as many if not most Caribbean people think. We Caribbeans really need to wake up and realize that on this Cruise Ship called planet Earth, we are all captains. We each have a role to play in ensuring a clean and thriving Caribbean Sea in 2030”, states Dr. Claire Nelson, the Curator of the Festival. Over twenty experts from Aruba to Florida to Trinidad and Tobago will participate in a series of one on one conversations that Nelson, as her alterego folklorist ‘Cousin Clara’ calls --the chapters of the epic tale of the life and times of the Caribbean Sea. 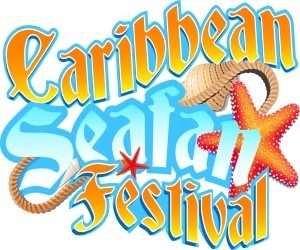 The Institute ofCaribbean Studies’ flagship 3rd Annual Caribbean SeaFan Festival Online Telethon will be the CaribVision.tv’s offering in support of UN World Ocean Day. CaribVision.tv will stream the 8 hour event on its online platform, powered by www.comeseetv.com, thus bringing the story of the Caribbean Sea to nature lovers across the planet. Organizations slated to participate include: The Nature Conservancy, CARIBSAVE, WIDECAST, Blue Ventures, Blue Rise, Organization of Eastern Caribbean States, Ocean Crest Alliance to name a few. The online storytelling environmental festival provides a platform for sharing stories about the work of the region’s leading ocean and marine environmentalists, in a way that creates a sense of personal interest, and thus cultivates a greater appreciation for the importance of the Caribbean Sea to the people and economy of the region. CaribVision, the Caribbean Channel, is an information and lifestyle channel broadcasting 24/7, a variety of culturally rich and entertaining programming, which includes news, politics, current affairs, sports, drama, entertainment, lifestyle shows and everything Caribbean. CaribVision is aired on cable in over 22 Caribbean territories, the US Tri-State area – New York, New Jersey and Connecticut and soon to the entire US mainland, Canada and the UK. Beginning 9:00 am EST on June 8th, the Festival and Telethon will be streamed via ComeSeeTv (www.comeseetv.com), the leading online TV and global content delivery network company in the Caribbean; and has partnered with ICS and CaribVision.tv on the campaign. To view the festival on June 8, visit www.CaribVision.tv or www.live.comeseetv.com. For more information about the Caribbean SeaFan Festival Online Telethon, please visit: www.thecaribbeansea.org or send us an email at icsdcorg.events@gmail.com. About the ICS:The Institute of Caribbean Studies (ICS), founded in 1993, is the architect and campaign chair for commemoration of June as National Caribbean American Heritage Month, established by President George Bush in 2006. ICS is a non-partisan, non-profit 501 (c) (3) organization founded by Dr. Claire A. Nelson, Futurist and White House Champion of Change. The premiere Caribbean-American Think/Do Tank, ICS seeks to address development challenges facing Caribbean peoples, and to adopt a thorough, systematic and coordinated long-term perspective towards their resolution.